Please contact me via email with regards to the progress of my claim and tax rebate cheque. The figures provided for each union are the full time payments. Please amend the figures if necessary. If you wish to claim for ATL-AMiE please select ATL(Senior Staff) in the list below. If your organisation is not listed on the dropdown, please provide the details below and indicate your annual fees. The IFL has become the SET (Society for Education and Training). If you wish to claim for SET payments, please select IFL in the list below. You can also claim for your professional fees, for example the Association for Science Education (ASE). Please type in the name of your professional body and the amounts paid in the relevant years (if known). Teachers who are timetabled, even if only part-time, for any of the following subjects (PE, Dance, Art, Design & Technology, Science, Domestic Science, Hair & Beauty) are entitled to claim for the cleaning of their specialist clothing. This tax relief is worth £60 p.a. This expense can only be claimed for a single subject in any one year. Have you been required to submit a Self-Assessment tax return in the last four years? In which years did you submit a Return? Have you changed your name within the last year, or do you use a professional name? Please provide us with details of your previous name, and/or professional name. Would you like your rebate cheque payable to a name other than shown above? To which name would you like your rebate cheque made payable? 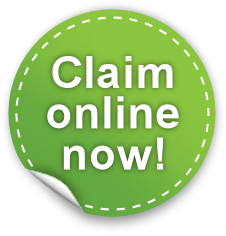 Have you applied for a tax rebate within the last 12 months? Please provide any relevant information about your prior claim. Have you changed your address within the last year? Have you changed school within the last year? Please provide us with the name and postcode of your previous school. How did you hear about SRS?